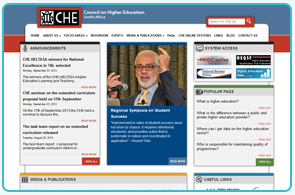 The Council on Higher Education (CHE) wanted to redesign their website with a more up to date look and feel as well as improved navigation and clear information categorisation to ensurte relevance and accessibility. 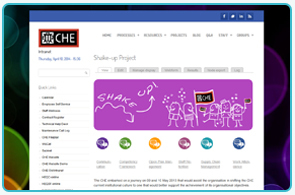 The Council on Higher Education's intranet facilitates smooth communication amongst staff members. It provides a social networking aspect, enabling staff to manage their own user profiles and to interact with the content through creating blog entries and commenting on content posted by others. 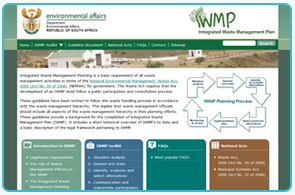 The intranet is developed on a CMS platform, which makes it easy for users to manage the intranet content. 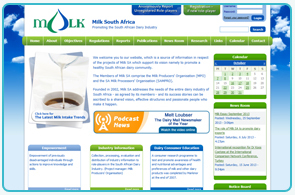 Milk SA promotes the image and consumption of South African dairy products amongst consumers and the broader population and renders services to industry participants, consumers and the broader South African population. Octoplus designed and developed their content managed website. 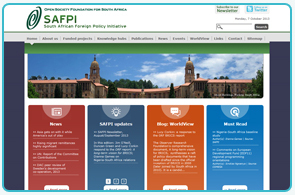 The South African Foreign Policy Initiative (SAFPI) is a programme established by and based at the Open Society Foundation for South Africa (OSF-SA) in Cape Town. SAFPI is intended to promote understanding of the ways in which South Africa articulates its foreign policy principles on the international stage in service of realising a more equitable world order. It is envisioned as a multi-year project with its relative permanence hopefully permitting SAFPI to become a centre of excellence in thinking about how SA's foreign policy behaviour and articulation of global governance might promote greater fairness, for the individual and state. 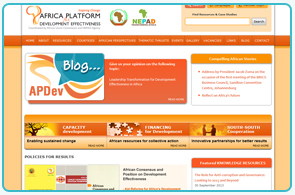 The Africa Platform for Development Effectiveness is an initiative by NEPAD and the African Union. Its aim is to bring consultation, coordination and a common voice to Africa's development perspectives, strategies and policies focusing on capacity development, aid effectiveness and south-south cooperation. 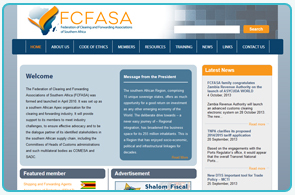 The website acts as an online platform for policymakers and communities of practice to exchange knowledge such as best practices and success stories to promote development effectiveness in Africa. Registered users can participate in private or public forums, upload resources and create events. The Institute for Economic Research on Innovation (IERI) does policy research in the political economy of knowledge to promote sustainable economic growth, social development and political democracy. 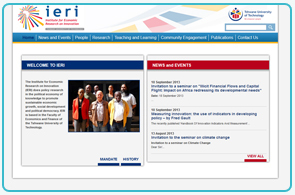 IERI is based in the Faculty of Economics and Finance of the Tshwane University of Technology. The website�s content is categorized and tagged by theme, type and author ensuring easy access to research output. The Food, Agriculture and Natural Resources Policy Analysis Network (FANRPAN) is a regional policy research and advocacy network whose operations are informed by major regional policy frameworks and processes in Southern Africa. Octoplus designed and developed the FANRPAN main website as well as related sites for their annual policy dialogue conference. The site is linked to a large database of resource documents. 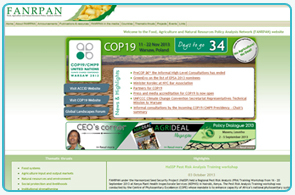 Octoplus maintains the website and to highlight FANRPAN's participation in the COP17 conference held in Durban in 2011 and their "No Agriculture No Deal!" campaign we created an interactive banner for the homepage with an automatic counter and news feed showing daily COP17-related updates. The Southern Africa Trust supports processes to deepen and widen participation in policy dialogue with a regional impact on poverty. Octoplus developed this content managed website and maintains it. 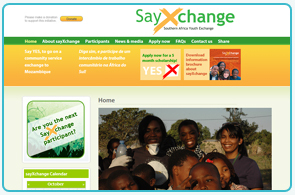 sayXchange is a southern Africa youth exchange programme between community-based and non-profit organisations. 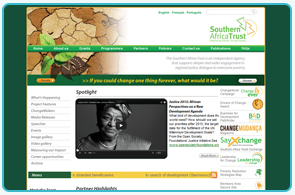 Octoplus designed and developed the bilingual sayXchange website for the Southern Africa Trust. 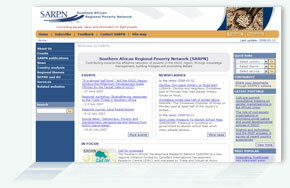 SARPN's purpose is to provide a facility for raising the level and quality of public debate on poverty across the Southern African Development Community - SADC.